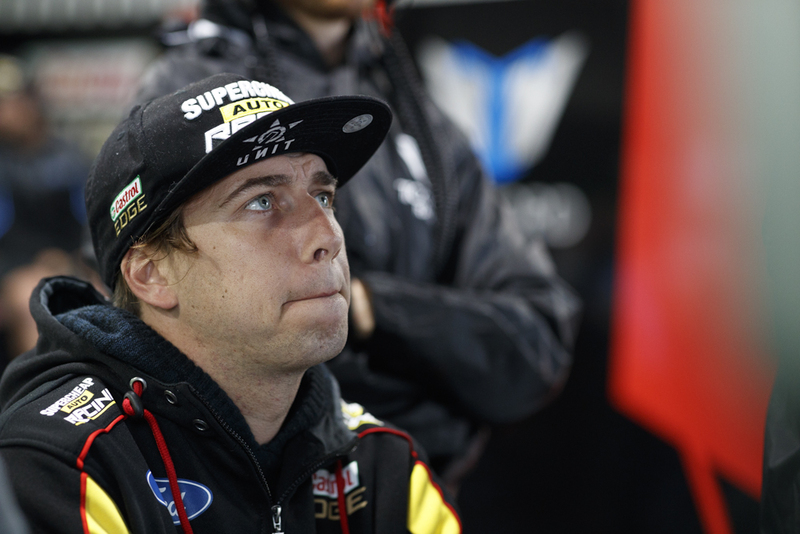 Chaz Mostert says a test day in the break before Hidden Valley will play a “really important” role in efforts to resurrect a trying season for Tickford Racing. The Ford squad heads into the four-week break after Winton with all four of its cars outside of the championship’s top 10. Spearhead Mostert slipped from eighth to 11th over the weekend, having qualified 16th and finished 14th on Saturday, before sliding from fifth on the grid to 10th on Sunday. Although Winton is Tickford’s test track, none of the teams used either of their two private tests for the year before the race meeting due to scheduling constraints. The bulk of the field is expected to test in early June, which will go some way to shaping the next phase of the season. 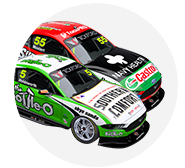 Mostert has finished no better than 10th in the last four races and is among those most eager for a full day of development running. 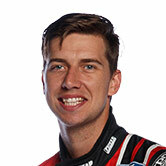 “We just couldn’t nail the balance, unfortunately,” said Mostert of his slide down the order on Sunday. “Obviously it’s good to salvage a top 10 when your car isn’t where you want it to be, and we were a bit better towards the end, but we’ve had too many of these days this year. “To be disappointed with 10th is good in some sense, but I know we’re capable of better so it’s frustrating when we have weekends like this. “Fortunately for the boys we’ve got a few weeks to digest everything, and we have a test coming up which will be really important for us. 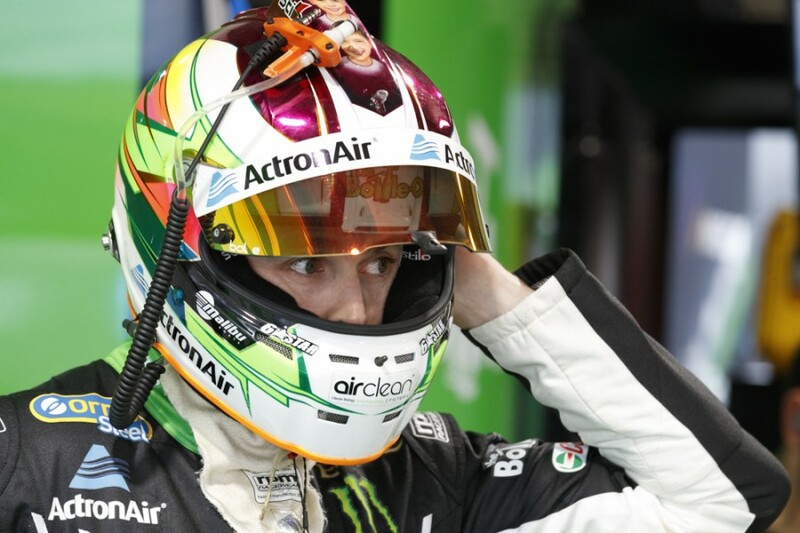 Richie Stanaway was the shining light for Tickford on Sunday, leading Mostert home with a ninth-place finish, the first top 10 of his rookie season. 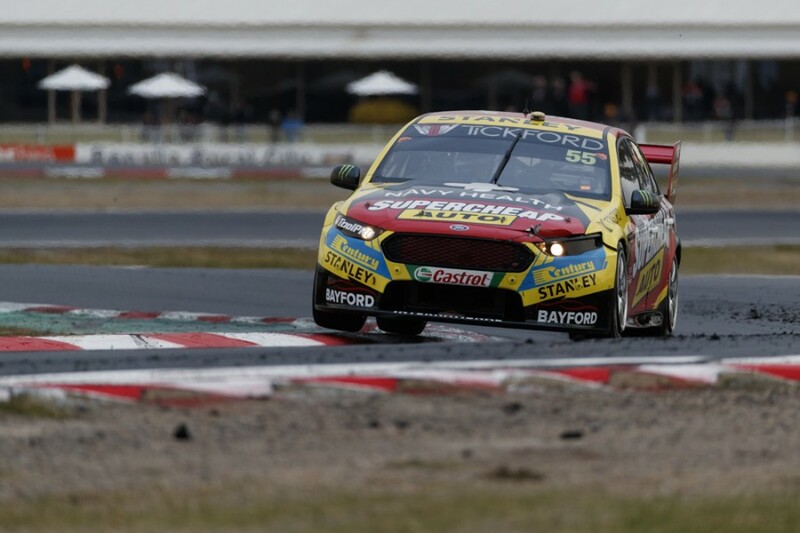 Cameron Waters was struck by axle failures in both races, while Mark Winterbottom felt he’d struck a tyre problem – as he had at Phillip Island – on his way to 20th on Sunday. 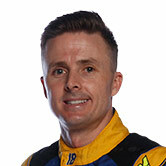 Winterbottom started 18th after a tangle with Shane van Gisbergen in ARMOR ALL Qualifying, before gaining five places on the opening lap. However, the Bottle-O Ford was 22nd by the time the second stops began after a long first fuel fill proved costly. “[The first stop] just made us way too heavy throughout that [second] stint, we just burnt time in that whole stint,” he explained. “I lost a lot of positions, then when we came out for the last stint I went out for about three laps and I think I broke a chord in the tyre again. “I dropped two seconds a lap and it changed the balance tenfold, so I reckon I’ve broken another cord, and that was three laps into a 20-lap stint, so it made my life a lot harder than it needed to be.